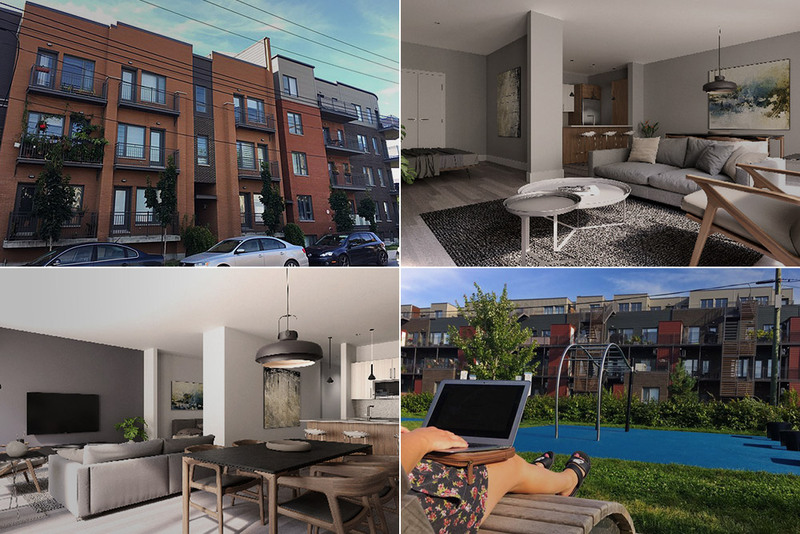 In the heart of the Saint-Henri neighborhood, the Alcôve sur le Woonerf project harmoniously settles onto Saint-Ambroise Street. With its 62 units spread over three floors, the building naturally counterparts the Saint-Pierre Woonerf onto which it backs. I was smitten by the two units I visited. A simple, contemporary design is enhanced by the coziness ensuing from the hardwood floors. Large windows and a balcony provide tons of natural lighting. The units are air conditioned and indoor parking is available. Clearly, I am not the only one who was charmed by the Alcôve condos; only a few one- and two-bedroom units remain available for immediate occupancy. 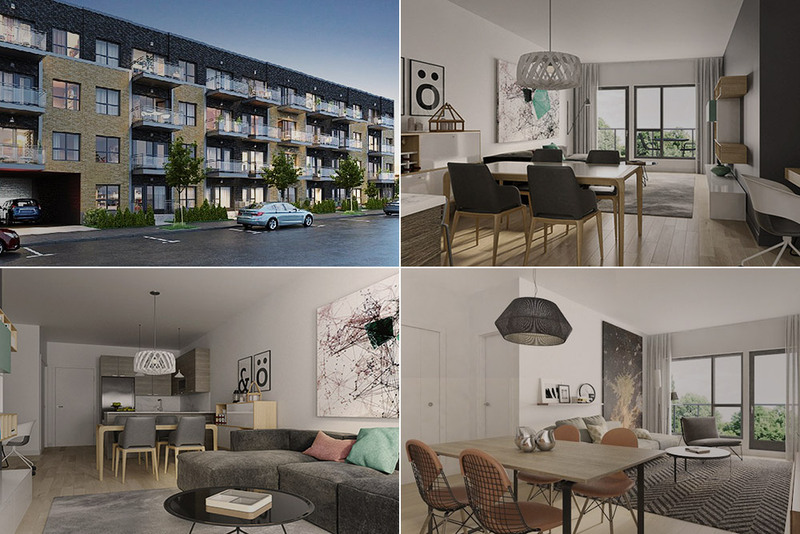 A 55-unit project established on Plessis Street. A peaceful enclave between the Quartier des Spectacles’ vibrancy and the Village’s energy. Studios and one- or two-bedroom units are arranged over four floors. I visited three, each with a unique layout. Windows and a balcony allow natural light to submerse each unit. The simple, actual interior design in itself is enough to make you want to move in and, add to this… indoor parking. 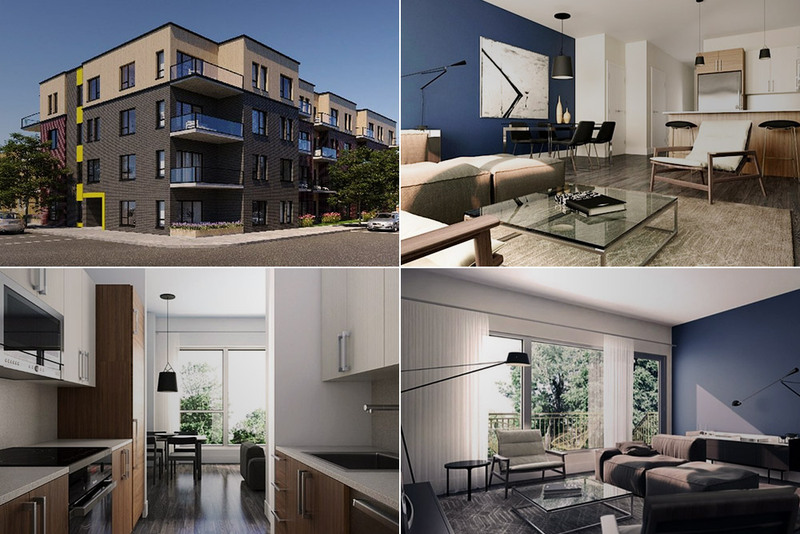 Octave is clearly impressing other visitors also… there are only a few units left for immediate occupancy. Currently for sale off the plans, the 31X15 de Rouen also peaked my interest. This project is located in the heart of HOMA, a hip neighbourhood renown for its blend of history and current trends. A 4-story building will house 39, one- to three-bedroom condos. Keeping in mind the finishes in the previously visited condo projects, a clean, urban design is certain to please. On the 4th floor, the units bearing a mezzanine will surely be noticed. A well-thought-out use of natural lighting thanks to huge windows will create a sense of opening and airiness to which terraces and balconies will also play a key role. The 31X15 will include an elevator and indoor parking. Occupation is planned for 2019. Delay no more, reserve the unit that suits you! These three projects are only a sampling of what Mondev is currently offering in terms of real estate projects. Check out their other projects, you’re sure to find one you love!